The gate houses were originally constructed (Circa. 1881) as waiting areas for the Rochester trolley line which ran up and down Lake Avenue connecting the City of Rochester to Lake Ontario and in essence created a west and east side of Holy Sepulchre Cemetery. Today, these wonderfully restored gate houses are now available to the community on a reservation basis. 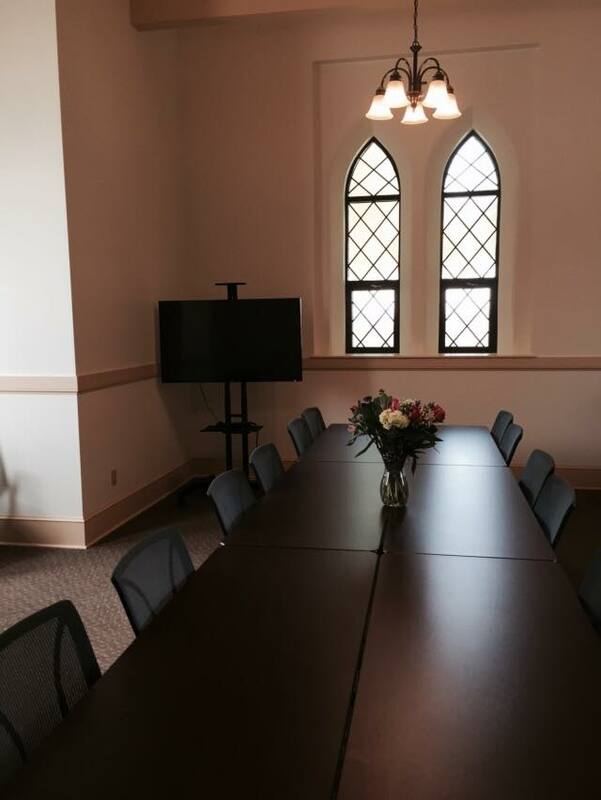 One or both gate houses maybe reserved and are perfect for receptions following funerals, parish meetings or retreats, non-profit meetings and gatherings as well as other community events. 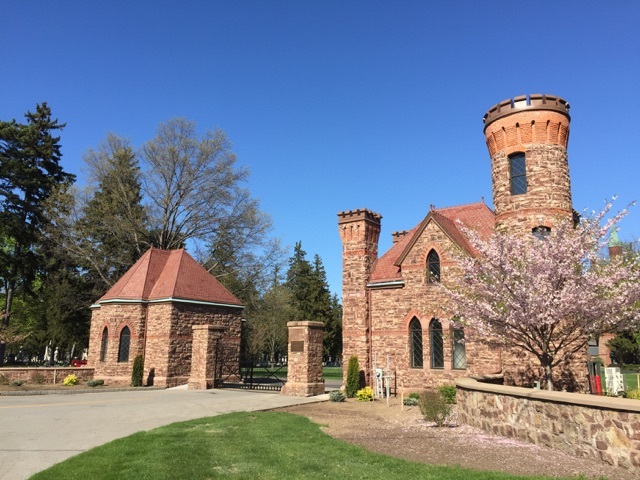 The gate houses at Holy Sepulchre Cemetery may be reserved year-round and can accommodate up to 25-30 people in each building pending set-up. The picturesque buildings are heated and air-conditioned for visitor comfort and may be reserved individually or together. Catering is available for events through the use of a select group of caterers. The catering contact information will be provided to guests upon request. Outside food is permitted if purchased from a restaurant or store. Alcohol is not permitted. The gate houses are also equipped with state-of-the art technology including wireless internet and wide screen HDTV for presentations.